Having sensitive data on your Android phone would make you suffer from a panic attack every time you give it to someone. In many situations, you will have to give it to one of your family or friends or even your girlfriend which may lead to so bad results as we all have sensitive data and social apps that we don’t want to show to anyone. 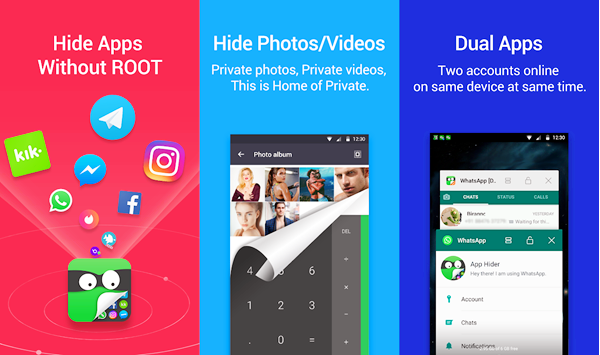 In a previous article, we talked about how to hide private photos on Android phone. In case that it wasn’t enough for you, then, I’m giving you this article to learn you how to hide apps on Android operating phones so no one will be able to explore these apps at all. The following lines will show you 5 methods of how to hide Android apps, so keep up reading, and select the best and the most suitable method for you in the end. One of the most bothering things in an Android phone is the apps that come pre-installed with no ability to remove them without rooting the phone. These apps differ from a phone manufacturer to another, for instance, Samsung Galaxy S and Note phones comes with S Health, S Translator, S Voice, and Samsung Notes. These all apps might not be used until you decide to change your mobile, along with eating your internal storage, memory, and your data connection when they work in the background. First: Open your phone’s Settings. Second: Scroll down until you find Applications and click on it. Fourth: After then, select the app you want to disable and hide, and then click on Disable. 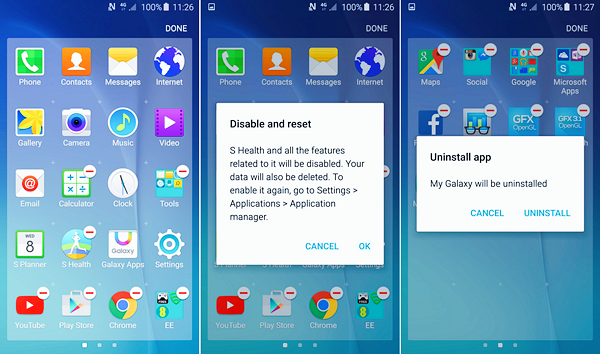 Now you have disabled and hidden the system or Pre-Installed apps in your Android phone. Note: In case you have selected a non-system app, an Uninstall option will show up and you will be able to completely uninstall it. I will focus on the second section of this article on how to hide apps on Android without rooting by using free and easy-to-use third-party applications. App Lock has 350 million users over the world, and it supports 39 languages. It is one of the best app to hide apps I recommend myself, it’s an easy-to-use app with many built-in functions related to protecting your privacy. You can use App Lock to hide and lock all your apps including Facebook, Instagram, WhatsApp, Gallery, and even Calls log with many locking options. 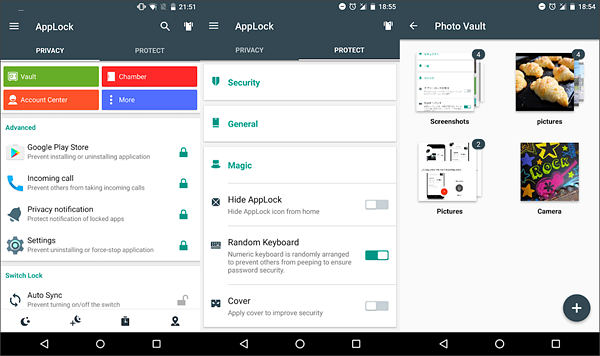 It’s also a great tool to hide your multimedia files, and the best function of App Lock yet is that it has a random keyboard so no one can know the password you are using to open your apps. The application is free and available via Google’s Play Store to download. 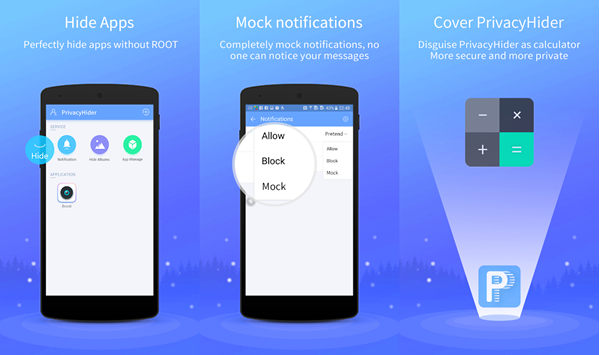 And it has a function that doesn’t allow anyone to uninstall it to breach your android phone security. 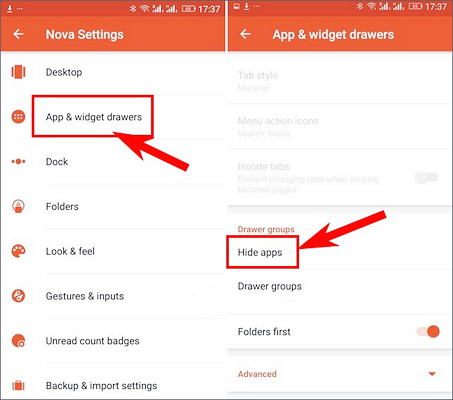 Nova Launcher is not a privacy protection app, but it’s a launcher for your Android phone with built-in security functions that allows you to hide your applications easily. First: Open Nova Settings, and click on App & Widget drawers. Second: Scroll down ntil you find Hide Apps option. Third: Check the apps you want to hide from your app drawer. Note: Unfortunately, Nova Launcher cannot hide Tinder app from the search results, but you can rename it to any random name so no one can find it using the App Search function. Nova Launcher is Free, and beautiful Android launcher that allows you to hide your apps along with having a beautiful Android theme. App Hider is an app used to protect you from anyone who wants to breach your security, you can use it to hide your apps, photos, and videos. And it provides you with a separate gallery that can be used to explore your hidden content without the ability to open it by anyone. Also, App Hider has a function that allows it to turn itself into a Calculator Vault so no one can know that you are using applications to hide apps on Android or even try to unlock it. It will be a real calculator with a password you will be the only one who knows, and in case you input the right password into the calculator, the app home will show up. App Hider has another function that allows you to completely uninstall an app from your device and only launch the uninstalled app from it. It also gives you a huge number of functions and feature, and you can download it now to have a try. Privacy Hider is another privacy protection specialized application that allows you to protect yourself from your privacy hackers. You can use Privacy Hider to hide your social, dating, gallery apps. Besides the ability to create a safe space to secure sensitive data, and you can even download the apps from Google Play directly to this space. Also, you can use Privacy Hider to manage the notifications of your hidden apps so no one can know that you hide apps on Android, or even what the apps you are hiding. Privacy Hider also has the same function as App Hider as it acts as a calculator until you input the right password so it will open. Have you ever been trying to hide something and faultily removed it? Whether it’s multimedia files, WhatsApp conversations, or even documents? 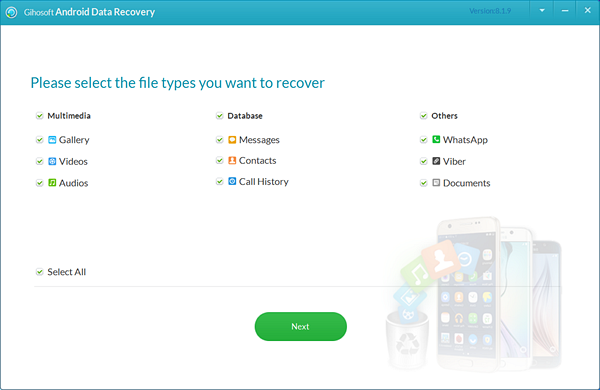 Try our free Android Data Recovery software from Gihosoft and recover all your lost data with a click of a button now. By reaching this line, you now have learned how to hide apps on Android and protect the sensitive applications that you don’t want to allow anyone to explore. You can select the best app hider depending on your needs, as every method and app provides different functions that are suitable for a variety of people. If you have any questions regarding how to hide apps on Android or recovering lost data on Android, don’t hesitate to reply to us in the comments section below.